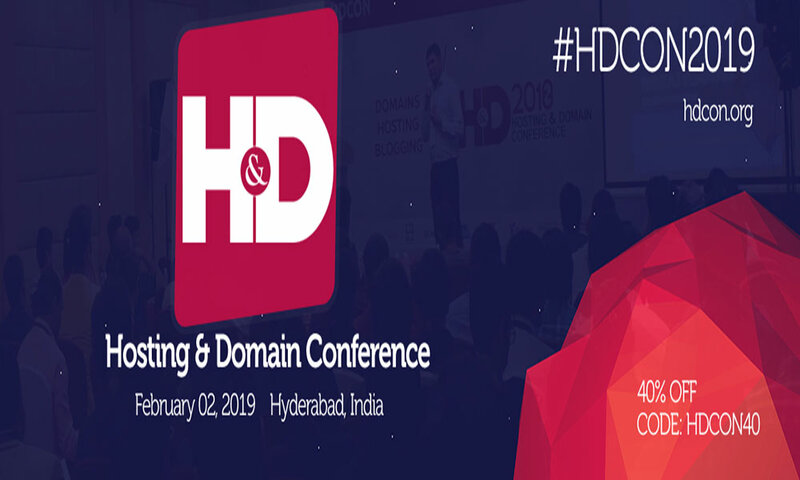 Hosting and Domain Conference 2019 will be held on 2nd February 2019 at Radisson Hyderabad Hitec City, Mumbai. The world’s top initiative conference, Hosting and Domain Conference 2019 has decided to conduct at Hyderabad. This 1-day event is the discussion of latest happenings in the field of web technologies. The discussion will be regarding Hosting, Domain, Blogging and Web technologies. Over 500 Delegates along with 15 Speakers will participate to make a successful atmosphere in this conference. 1. Hosting & Domain Conference is the world's top initiative to discuss domains, hosting and blogging. 2. it’s a global conference attracting delegates from all over the globe. 3. Panel discussions & Sharing views and tips by industry experts. 4. Open for Connections & Business networking opportunities. 5. Connect with like-minded people and can get in touch with various service providers. 6. Meet technology enthusiasts, domainers, bloggers, hosting companies, registrars and a wide range of services/products. For more information contact us at contact@hdcon.org.